At least that's what the Washington Post reported on June 22, 2012. This has resulted in cancellation of his summer tour. 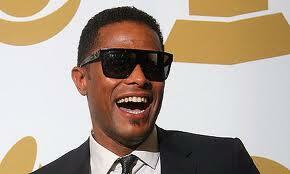 Per media reports, his vocal cords are swollen with hemorrhage. Some fans may recall that something similar happened to Adele in winter of 2011 which resulted in her also canceling a number of engagements. She ultimately had surgery to correct her problem. The issue with a blood vessel within the vocal cord itself is that it fluctuates in size due to whether it is irritated from phono-trauma or even hormones. Such fluctuation in size causes the voice to change in pitch and quality on an hour to hour basis depending on how much swelling occurs. For a singer, it makes the voice unpredictable. This is a dangerous situation for a singer because of their regular voice use and need to use it forcefully. However with too much force, the blood vessel may suddenly rupture (even in the middle of a performance) resulting in a hemorrhage into the vocal lining itself causing a sudden and complete loss of voice. If a voice is present, it is much deeper than normal due to the additional "weight" of blood and edema (just like a violin string where the thicker the string, the deeper the pitch). There may even be mild pain associated with this occurrence. To the right is a picture of a vocal cord hemorrhage. Note the entire vocal cord on one side (which is the patient's right side for those in the know) is brilliant red indicative of the presence of blood throughout the cord. Initially during an acute vocal cord hemorrhage, STRICT VOICE REST is mandatory. With continued voice use, the patient risks abnormal healing that may result in a vocal cord polyp or vocal cord scarring. Along with strict voice rest, steroids are often prescribed to help reduce the inflammatory swelling that often occurs as well as minimize risk of scarring. Unfortunately, though such treatment may resolve the hemorrhage, it will typically not get rid of the culprit blood vessel. For that, surgical intervention is required. Such surgical intervention is much like trying to get rid of varicose veins in the leg. One option is to precisely cut it out. Watch a video on this approach (video shows a vocal cord mass removal, but just pretend the mass is a blood vessel as the approach is identical). The other option is use of a laser which is typically what I recommend. Why? It is relatively non-invasive and I feel the risk of scarring to be less compared with excision (though not zero). Shown below is a video of a vascular polyp being obliterated using a pulsed-dye laser (courtesy of Dr. Chandra Marie-Ivey). Another type of laser that may be used is a KTP laser. Read more about laser treatment of vocal cord pathology here.